I hope that by being part of this committee, a smarter, more efficient and effective way for influencers and brands to connect emerges and that it brings about even greater innovation in the way that we look at social marketing. Since its inception in 2012, Mattr has provided brands with the high level, psychographic data they need to identify and connect with social media savvy individuals. With the introduction of Virtual Agent, which enables brands to hire influencers they identify directly through the Mattr app, the company now offers marketers with an end-to-end influencer marketing platform. Mattr gives brands the ability to segment, identify and manage engagement with influencers all from one solution. Now, in an effort to continue improving its software, Mattr has formed an advisory committee of influencers to provide guidance and insights that can be used to build an even stronger experience between influencers and brands. The committee is comprised of various influencers from unique backgrounds- including travelers, mommy bloggers, and more- each bringing their own unique perspective to the discussion. In choosing potential committee members, Mattr selected individuals with proven high engagement on social, while also concentrating on diversity so a range of opinions and feedback could be uncovered. Some of the selected influencers already have deep experience working with brands on sponsored influencer campaigns, while others are planning to do so for the first time with the help of the Mattr platform. The end result of the committee will be a well-rounded, credible and ongoing assessment that can be applied to the Mattr technology. 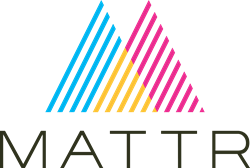 Committee members will meet with Mattr on a monthly basis to discuss advances to Mattr’s technology, influencer marketing trends and committee member experience with the Mattr platform. As Mattr expands its influencer marketing platform, advisory committee members will be the first to navigate the technology and provide feedback on all its features. Suggestions will be incorporated into its development schedule, which will then be followed by another assessment period conducted by members to ensure efficiency and simplicity of the platform. As the first in line to receive industry information, members will not only elevate their own knowledge, but enable them to be a resource for other brands and influencers. Mattr will continue to build and diversify this committee into the future.